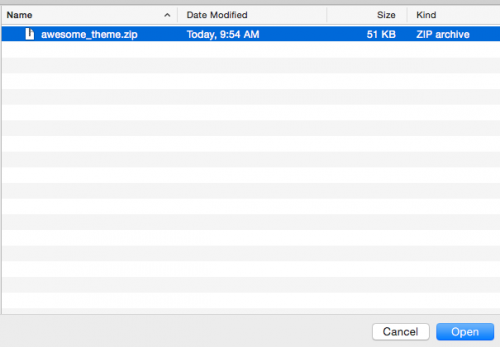 This article will walk you through using the Themes tool to manage WordPress themes in your Managed WordPress service. Open your Managed WordPress Control Panel from the Account Center. 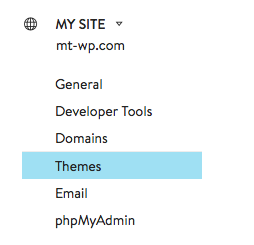 Select the site you wish to manage themes for from the My Sites page. Select Themes from the left-hand menu. To preview a new theme or change your theme, you will first want to hover over the thumbnail of the theme you wish to use. There are two options you can choose from for each theme. 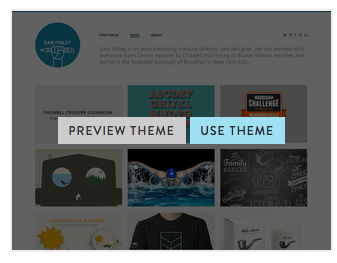 To preview a theme, select the Preview Theme button. To change your theme to the highlighted theme, select Change Theme. 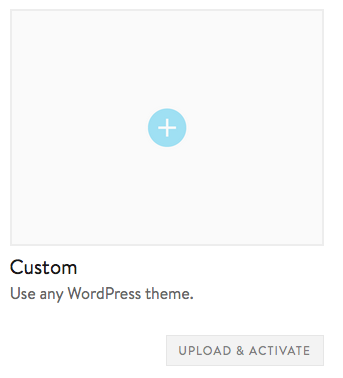 You can also upload a custom theme to the Themes tool. The below instructions will guide you through using a custom theme. Scroll to the bottom of the Themes panel and click on the Custom box. The Custom window will change from grey to blue. Select Upload & Activate beneath the Custom box to continue.